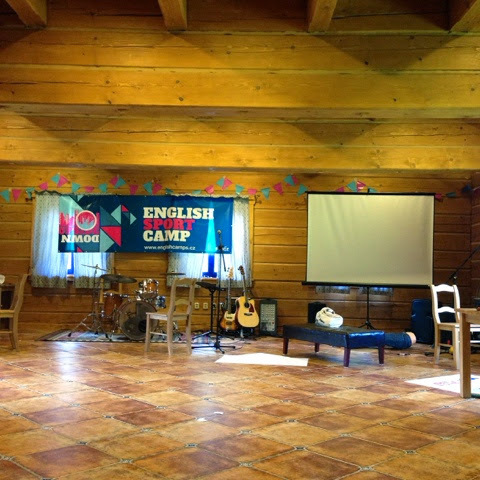 English camp has begun! It has been a full day with lots needing to be prepared before the students arrived in the afternoon. And now we've had our first evening session and discussion group. The discussion group is the same as the English class. There are nine students in my group plus an American, a Brit, a Czech translator and myself. Please pray that we are able to bond well as a group and that as the week continues we would build good relationships so we can better share the Gospel. It is so good to be here at camp! It's a little funny for me to be at a camp where I am not the "foreigner" but that means I can build relationships that can continue throughout the year. It's also really fun that I can talk with the students in Czech! 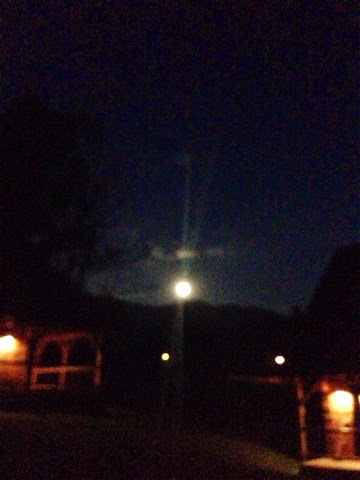 The moon tonight over the mountain. 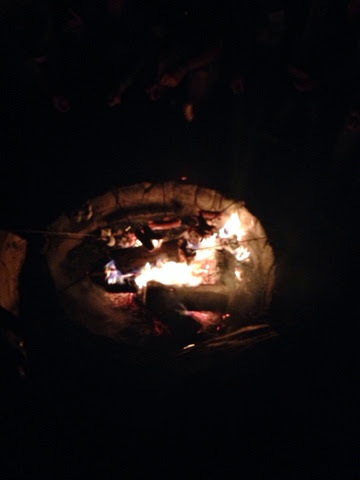 A bonfire with sausages and marshmallows roasting. Our setup. This is the stage area for the songs, speaker etc.